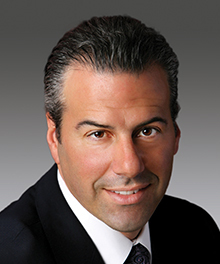 Marcum’s national construction leader, Joseph Natarelli, says backlog indicators show that it was a great year, and they also point towards continued volume in the year to come. Against the backdrop of record continued strength in the U.S. economy, nonresidential construction ended 2018 up 4 percent year-over-year for the month of December, while employment in the sector grew 2.6 percent, reports the Marcum Commercial Construction Index for the fourth quarter of last year. The index is produced by Marcum’s National Construction Services group. The fourth quarter report was delayed by the month-long government shut-down that ended Jan. 25, 2019. Nonresidential construction spending in December totaled $750.5 million, up from $722 million in the final month of 2017. The lodging subsector showed particular strength, with an 11 percent gain from a year earlier. All but four of the 16 nonresidential subsectors registered increases for the month. In addition to lodging, these included Water Supply (8.5 percent), Office (8.2 percent), Amusement & Recreation (7.8 percent), Power (7.7 percent), Transportation (6.2 percent), Educational (5.7 percent), Public Safety (5.1 percent), Manufacturing (5.0 percent), Sewage & Waste Disposal (4.5 percent), Highway & Street (1.8 percent), and Religious (1.7 percent). Of the subsectors showing declines in December, Healthcare had the biggest drop-off (-4.5 percent), followed by Commercial (-3.2 percent), Conservation & Development (-1.5 percent), and Communication (-1.1 percent). More remarkable than the steady performance of the industry in 2018’s final month was the extended trendline over the prior three years. As a whole, nonresidential construction spending increased 10.4 percent between December 2015 and December 2018, with nine subsectors registering double-digit growth and an additional three subsectors also showing gains. Lodging was again the big winner, with an increase of 52.5 percent for the 36-month period. Manufacturing sustained the biggest loss, at 14.2 percent. Employment in nonresidential building increased year-over-year to 825,000 jobs in December 2018 from 804,400 jobs in the last month of 2017. Of the 20 largest metropolitan areas in the U.S., the Phoenix-Mesa-Scottsdale, Arizona, and Dallas-Ft. Worth-Arlington, Texas, regions gained the most in construction employment for the month as compared to a year earlier (13.7 percent and 10.5 percent, respectively). Though 2019 looks poised to be a good year for contractors, Basu points to a handful of ominous indicators in the report. These include the financial market volatility that returned late last year, the partial inversion of the yield curve (an indicator of impending economic slowing or recession), an unemployment rate that remains below the natural rate of unemployment, evidence of a weakening U.S. industrial sector, shrinking small business confidence, and record consumer and corporate indebtedness.